Armellodie Records is proud to introduce Scotland’s Galoshins with not one, but two brain-popping EPs for your aural pleasure. 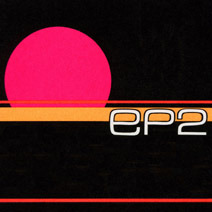 Recorded as separate entities in July 2011 and April 2012, EP1 and EP2 complement each other, whilst documenting the band’s many muso-tentacles. Moving from wonderfully jarring dischordia to sublime poppiness - sometimes in the same song - Macphail’s whirring organ and stream of lyrical musings pepper the EPs like slippery eels, just eluding you but leaving traces of goo in your ears. Whether he’s demonstrating the art of manliness as on ‘The 4th Chord’ (“What you been saying about ma burd! ?”), or inquisitively attempting to re-assure the listener as on ‘Mink’ (“It seems to me like we’re having a good time?”), there’s an off-beat charm to Macphail’s often undistinguishable shriek. 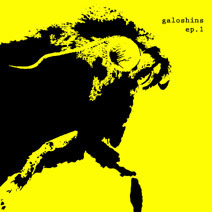 With Eyland’s spiky guitars and MacLeod’s bombastic drum-flurries, Galoshins can be a feral proposition. Yet no matter how frenzied or hectic things appear, each and every song is besieged with hooks so that even the most casual listener can keep swinging. With the promise of further EPs throughout the year, this could be the start of a beautiful relationship, and there’s always room for a new favourite band. The band launch the EPs with a special show at Glasgow’s Nice N Sleazys on Friday 8th February. Also on the bill, the delightful Furhood, Paddy Steer and a special guest to be confirmed. Keep your eyes peeled on the Facebook Event for further updates. You can get your mits on both EPs HERE, Pre-order on CD (Digipack) now or digital download from February 4th.